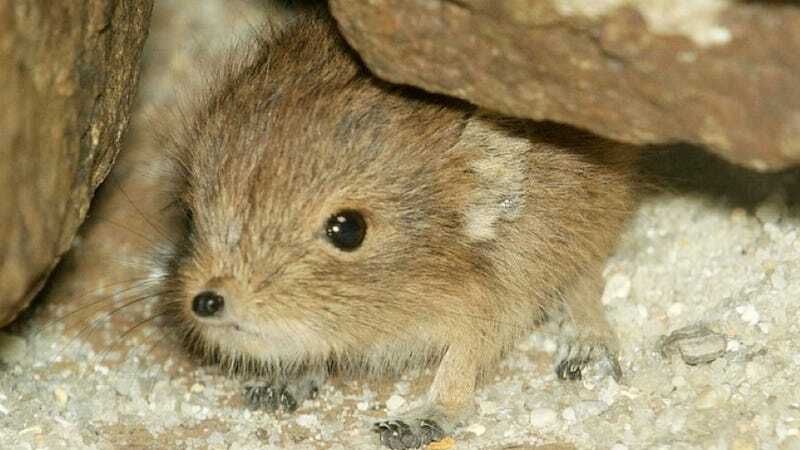 Elephant Shrews are small insectivorous mammals whose name comes from their noses' resemblance to the trunk of an elephant. They are in fact more closely related to elephants than they are to shrews! Elephant Shrews are one of only a handful of monogamous mammals and are a model group for the study of monogamy.